Mal usually comes up to our room to wake me up every morning (though I hear him coming long before he gets there). Christmas morning he woke me up, saying, "There's presents!" 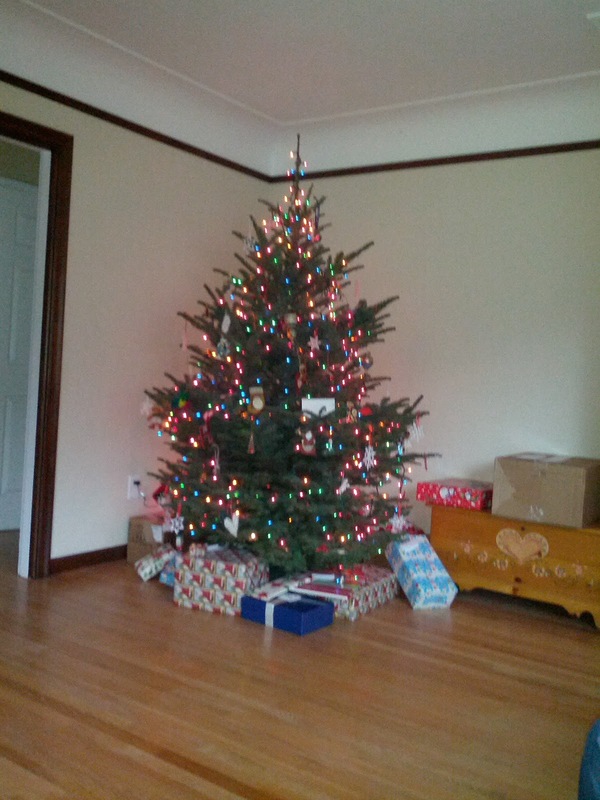 In past years the kids haven't been allowed into the living room before we're all ready to go out, but in our new house they can see the tree from their open bedroom door, and their primary path to our room is through the living room. 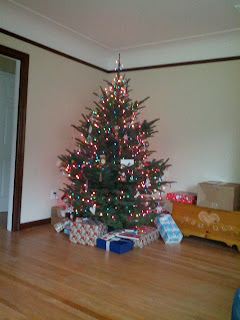 It seemed a bit futile to even attempt to keep them out of the living room until we were all ready. However, once Mal had brought me down and shown me the presents, I had him and Gareth get dressed and then they had to wait in our room until Ryan and I were ready before getting into anything. They had fun playing on the bed while they waited. 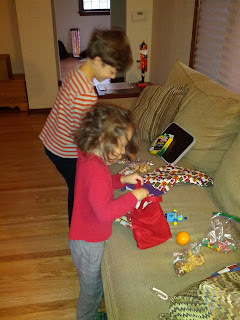 When we got back downstairs they quickly got into their candy. We tried to tell Mal that candy doesn't equal breakfast, but he didn't seem to believe us. At least he scarfed down his almonds and cashews as well. 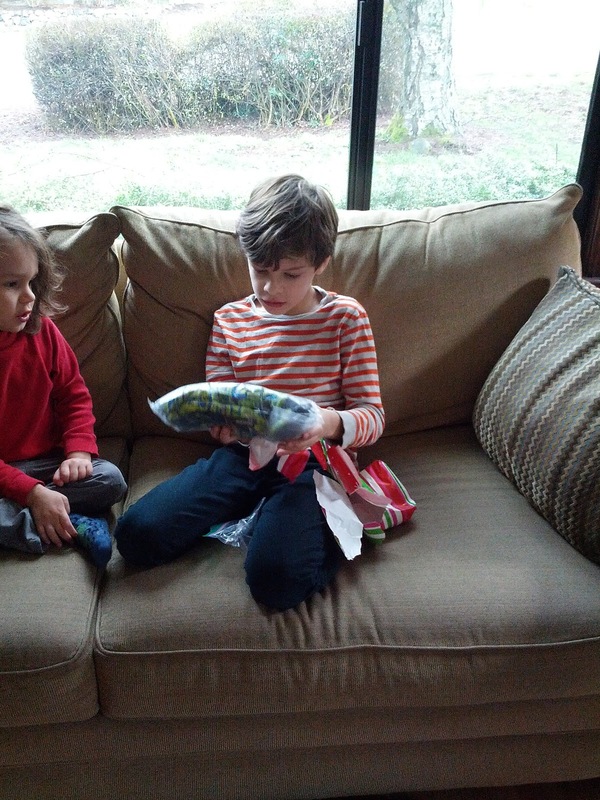 Gareth got lots of gifts that have been on his wish list for a while and some Dr. Who items, so it was a pretty exciting Christmas for him. Gifts like this perplexus. 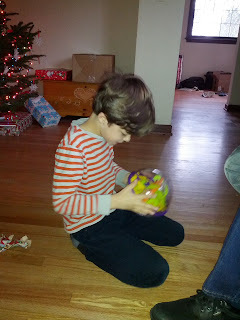 It happened to be the first gift he opened and we had to drag him away from it to get anything else open. We've all been enjoying it. It's frustrating, but the kind of thing you keep coming back to anyway. Mal was able to open most of his presents independently this year. He got lots of duplos. 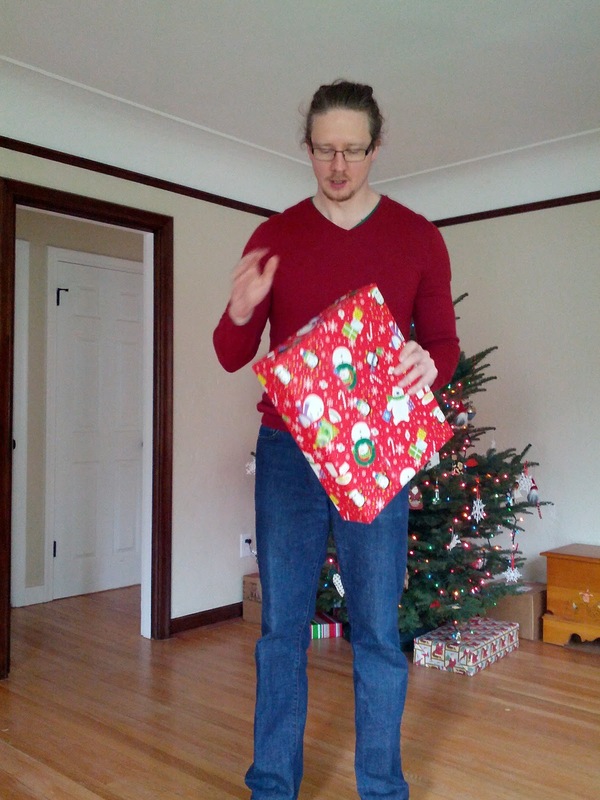 Gareth was excited to get some winter gloves. Not only will they work great in the off-chance we ever get snow, but they'll keep his hands warm on cold, rainy days when riding his bike. 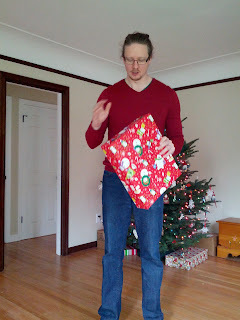 Ryan passed out the presents this year to ensure gifts were handed out equitably. 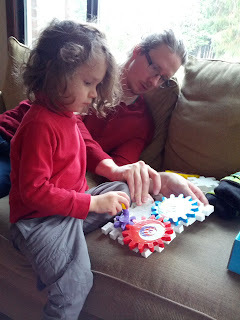 Mal also got a gear toy, which he seems to enjoy. 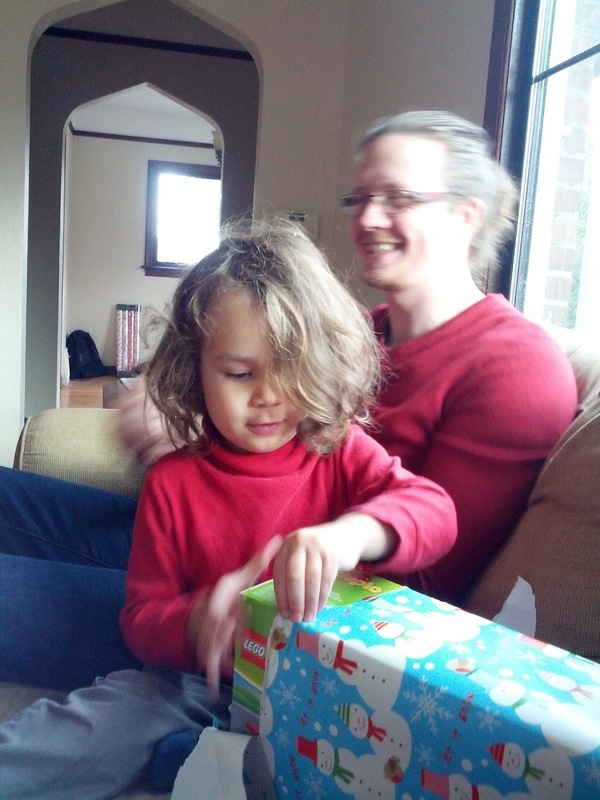 Though, as usual, his biggest interest is in Gareth's toys. Gareth also got monopoly, so we spent a few hours playing a game. Initially he was killing Ryan and myself because he got all the railroads. 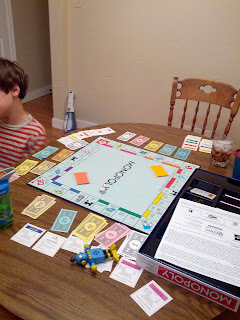 But in the end Ryan landed on Park Place and Boardwalk, took a huge risk mortgaging properties and spending most of his money to buy them, and once he recovered from that and put houses on them the tables turned and Ryan ended up winning. It's been a nice, relaxing break. We've cleaned up the house a bit and eliminated some toys the kids had outgrown to make room for new toys. 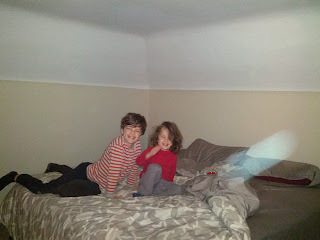 We've had opportunities to get together with friends and have had lots of just hanging around the house playing with new toys, reading, watching movies, and spending time together. I wouldn't mind another week of break, but it won't be horrible to get back to our regular routine this coming Monday either.